Our presenter last Wednesday was Natalie Jakub from Bee Green Business. Ms. Jakub is the Executive Director of a non-profit called Green Living Science. Its mission is to transform Detroit by teaching about waste and recycling and does this by offering educational programs through the Detroit Public Schools, sharing information with the community, and by working with businesses through its Bee Green Business program. Bee Green Business educates and certifies businesses and their employees to become responsible corporate citizens. It offers a free consultation about waste hauling services and then conducts an assessment to reduce waste. In our area, Bee Green has worked with Red Crown and the GP Chamber of Commerce. 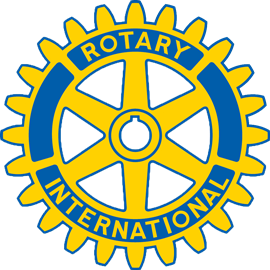 Rotary Int’l and District 6400, the world at large.